SHIPS leaving Nhava Sheva port, across the harbour from Mumbai, tend to ride higher on the water than when they arrive. 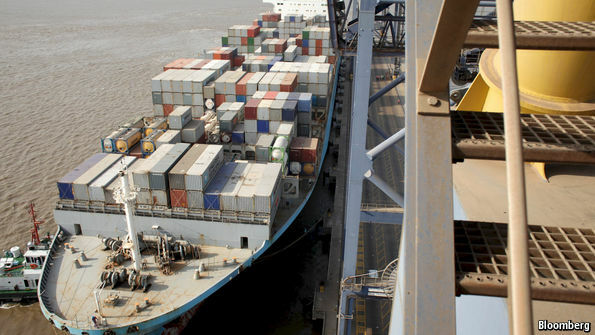 India’s trading statistics explain why: steel and other industrial goods from China weigh down the ships as they come in, to be replaced on the way out by fluffy cotton bales, pills and—given India’s perennial trade deficit in goods—empty containers. India’s economy grew by 7.5% last year, cruising past China’s 6.9% growth. Yet the deficit in goods trade with China continues to widen (see chart), to over 2% of GDP last year. For Indian policymakers this is an irksome reminder of the weakness of the country’s manufacturers. 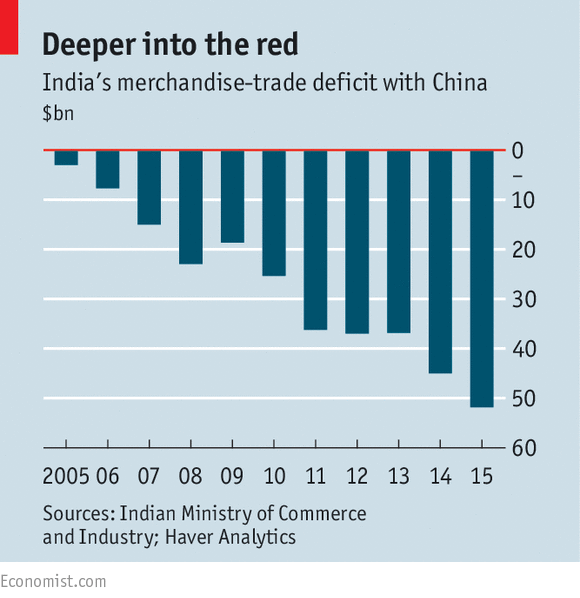 Halving the trade shortfall with China would be enough to eliminate India’s overall current-account deficit, and thus the need for external financing. The government’s ideas for shrinking the shortfall have been sadly predictable. The minimum import prices it imposed earlier this month on various grades of Chinese steel, which it claims are being “dumped” below cost, come on top of other anti-dumping levies and taxes on steel and myriad other products, from raw silk to melamine dinner sets. No country has used such measures as energetically as India over the past 20 years, according to the World Trade Organisation. The commerce minister, Nirmala Sitharaman, has called for a devaluation of the rupee to curb imports and boost exports. Yet the rupee has been falling against the yuan for years, with little effect on trade. And a weakening currency could revive inflation, which falling oil prices and sound monetary policy have helped tame. The government looks longingly at manufacturing’s 32% share of China’s GDP, roughly double the Indian figure. It sees factories as the ideal way to soak up the million-odd young workers who join the labour force every month. So it is showering sops on various industries. It is handing out subsidised loans to small-scale and labour-intensive industries such as ceramics and bicycle parts. Lightly-taxed “special economic zones”, many of which are set up to benefit a single company, are in line for further handouts. A “Make in India” jamboree in Mumbai earlier this month sought to present an image of openness to foreign investment, eliciting promises of multi-billion-dollar plants from firms keen to cosy up to policymakers. But India is trying to emulate China’s export-led manufacturing growth in a global economy that is now drowning in China’s industrial surpluses. It hopes to fill the vacuum left by its larger neighbour as Chinese wages rise, to double those of Indians, and its economy rebalances from exports to consumption. Yet so far it has struggled to seize that opportunity. Indian firms grumble, with some justification, about their products being shut out of the Chinese market. Agricultural products, of which India is a net exporter, are largely excluded from China through various phytosanitary rules. Indian pharmaceutical firms complain that China’s growing aid to other developing countries often includes the provision of medicines—Chinese-made ones, of course—which means that the recipient countries buy fewer Indian-made drugs than they used to. India runs a global surplus in services, mainly by selling them to rich countries. But they are a small component of Indo-Chinese trade. China gets the best of tourist exchanges between the two countries: 181,000 Chinese tourists came to India in 2014, against 730,000 Indians who visited China. 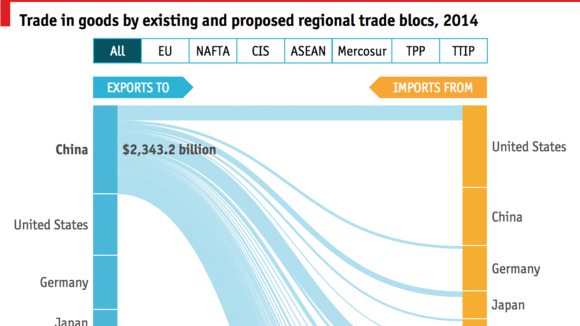 All this tortures Indians, for whom China is the biggest source of imports and third-biggest export market, but barely troubles China, for whom India is a second-tier trade partner. Indian policymakers are reflexively sceptical, for example, of China’s plan to build a road linking the countries, worrying it will only widen the trade imbalance. If China’s consumers won’t buy Indian goods, perhaps its businesses could build factories in India instead? Some big projects have recently been announced, notably a $10 billion industrial park to be developed by Dalian Wanda, a Chinese property group; and a $5 billion plant proposed by Foxconn, a Taiwanese electronics outfit which mainly manufactures in China. Foxconn said last July that it might employ up to 1m Indians in 10-12 plants by 2020, despite suffering labour strife when it closed an existing factory last year. However, foreign investors’ projects often fall quietly by the wayside when bureaucratic obstacles prove insurmountable. Foxconn is already said to be rolling back its ambitions. After years in the doldrums, India is enjoying its moment as the world’s fastest-growing large economy. That in itself will be enough to pique the interest of multinationals: Apple, for example, thinks a sales push in India can help make up for sluggish Chinese demand. Even so, it will be a while before its devices (whose assembly it outsources to Foxconn) are made in India. Instead, they will further weigh down the ships entering its ports.